From the comfort of your couch you can ask Alexa, through Amazon Echo, “Alexa, what is my charging speed,” “Alexa, how much range do I currently have,” and much more. This amazingly convenient technology is free with any JuiceNet account that works with networked JuiceBox electric car chargers from JuicePoint. 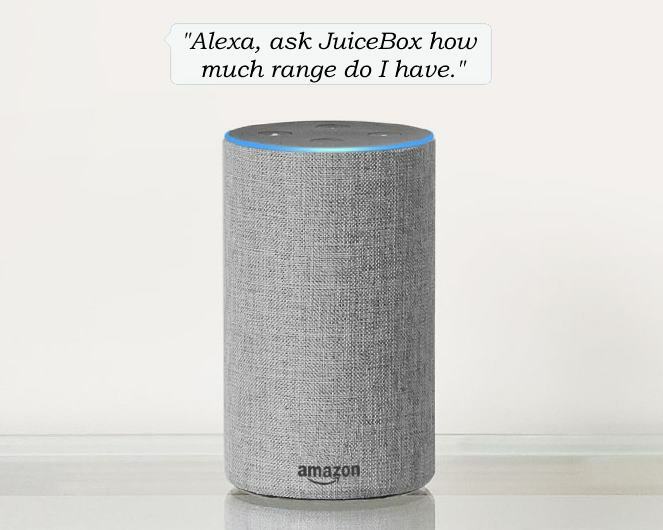 – ask JuiceBox how much range do I have? Please view the Amazon Echo setup instructions here. JuiceNet also supports Google Home.